In May 2012, the research group of the Dipartimento di Scienze Storiche del Mondo Antico, directed by prof. Alessandra Avanzini, began the two-years project MEDINA - Mediterranean network for the valorization and fruition of inscriptions preserved in museums project. This project was selected to be funded by the European Union in 2008 within the ENPI CBCMED programme - Cross-Border Cooperation in the Mediterranean Sea Basin. This programme promotes the sustainable and harmonious cooperation process at the Mediterranean Basin level by dealing with the common challenges and enhancing its endogenous potential. The main objective of MEDINA is to promote, through innovative means, the knowledge and dissemination of Phoenician and Nabataean inscriptions and artefacts preserved in the Beirut National Museum and in the Museum of Jordanian Heritage at Yarmouk University. In addition to managing the project's activities and progress, the University of Pisa équipe, within this project, will supervise the digital cataloguing of the inscriptions in Jordan and Lebanon, and will catalogue the South Arabian texts preserved in the Museo d'Arte Orientale of Rome. The objects catalogued in this collection will be able to be consulted in a specific section of the DASI web site. During the first year of the project, the Pisa équipe has also the important task to train and teach students how to perform digital cataloguing. As MEDINA project aims to improve the communication means of the involved museums, new strategies will be studied by the University of Pisa, in collaboration with the Yarmouk University and architects expert in museology. A new space will be thought and realized where the neglected and silent artistic finds can be highlighted and revalued as main instruments of knowledge. CoOL , an online resource operated by the Foundation of the American Institute for Conservation is a full text library of conservation information, covering a wide spectrum of topics of interest to those involved with the conservation of library, archives and museum materials. It is a growing online resource for conservators, collection care specialists, and other conservation professionals. The following is a list of JSTOR content updates. More detailed information about titles and collections, along with delimited lists, may be accessed from the Archive Collections page. 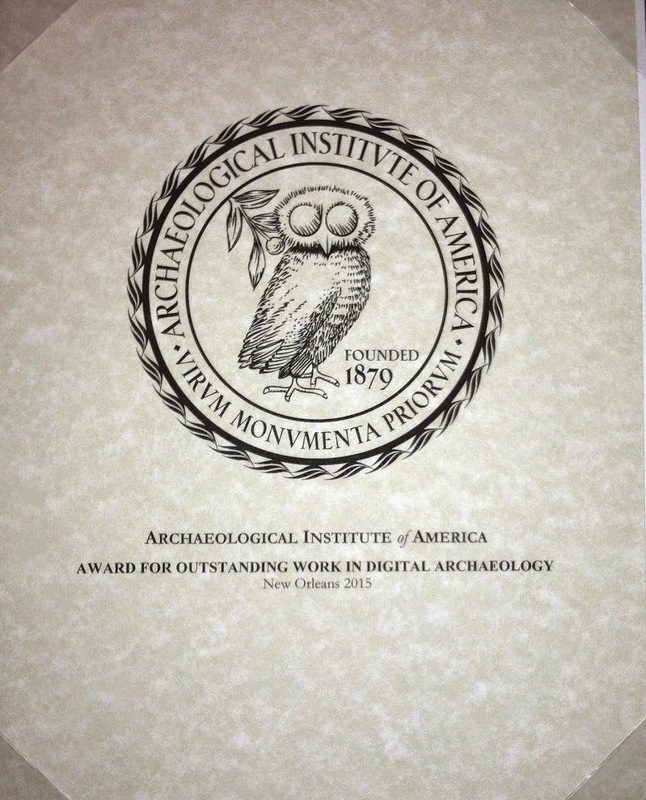 The Bulletin of the University of Michigan Museums of Art and Archaeology was a joint publication of the University of Michigan Museum of Art, the Kelsey Museum of Archaeology, and the Department of the History of Art. This journal features scholarly articles related to subjects of interest to both museums, particularly their collections, exhibitions, and fieldwork programs. Written principally by graduate students, faculty, and curators affiliated with the museums and the Department of the History of Art at the University of Michigan, The Bulletin is peer reviewed and distributed internationally. Each volume includes accessions lists as well as several short essays on recent acquisitions or significant holdings. Issues are made available online six months after print publication. 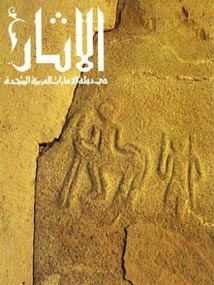 Bulletin was published from 1978 to 2008. The archive of these issues will be permanently available on this website. A importancia arqueolóxica e o interese histórico do Castro de Viladonga, así como a cantidade e calidade dos materiais aparecidos nas escavacións aquí feitas desde 1972, e a necesidade de investigalos e expoñelos no seu propio contexto, fixeron que en 1983 o Ministerio de Cultura crease o MUSEO DO CASTRO DE VILADONGA, nun edificio que fora construído nos anos setenta. O seu acondicionamento, instalación e montaxe tivo lugar en 1985-1986, e o Museo abriu ó público en novembro deste último ano. A partir de 1990 a súa xestión quedou transferida á Xunta de Galicia. Entre 1992 e 1994 fixéronse unhas importantes obras de reforma e ampliación coa construción dun novo edificio a continuación do xa existente, coa subseguinte dotación, nos anos posteriores, da infraestrutura e do persoal necesario para o desenvolvemento de todas as súas funcións museísticas e patrimoniais, ligadas ó propio xacemento castrexo e galaico-romano. Seland, Eivind Heldaas: "Death or taxes : Choosing itineraries between the Persian Gulf and the Mediterranean in the mid-18th century". Academic Quarter 4, Spring 2012: 97-108 (external link). Seland, Eivind Heldaas: "Trade and Christianity in the Indian Ocean During Late Antiquity". Journal of Late Antiquity 5 (1): 72-86 (external link). Since its inception in 1978, the Theban Mapping Project (TMP, now based at the American University in Cairo) has been working to prepare a comprehensive archaeological database of Thebes. With its thousands of tombs and temples, Thebes is one of the world's most important archaeological zones. Sadly, however, it has not fared well over the years. Treasure-hunters and curio-seekers plundered it in the past; pollution, rising ground water, and mass-tourism threaten it in the present. Even early archaeologists destroyed valuable information in their search for museum-quality pieces. Today, however, we realize that the monuments of Thebes are a finite resource. If we fail to protect and monitor them, they will vanish, and we and our descendants will all be the poorer. The TMP believes that the first and most essential step in preserving this heritage is a detailed map and database of every archaeological, geological, and ethnographic feature in Thebes. Only when these are available can sensible plans be made for tourism, conservation, and further study. During the last decade, the TMP has concentrated on the Valley of the Kings. Modern surveying techniques were used to measure its tombs. From the data collected, the TMP is preparing 3-D computer models of the tombs. And of course, the TMP is continuing its excavation of KV 5. For the TMP staff, sharing their work with the interested public is just as important as what they do in the field. This has been done through a series of publications and this growing website. 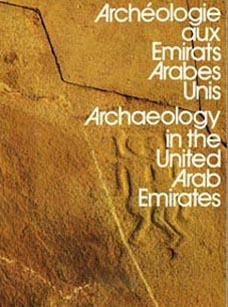 The aim of the journal 'Archaeology of the United Arab Emirates' is to promote and enhance interest in the archaeological heritage of the United Arab Emirates. It aims to serve as a publication forum for those interested in the latest survey, excavation and research results from archaeological sites in the UAE. 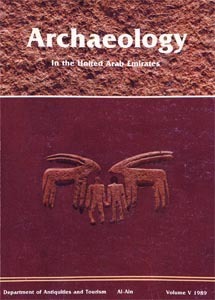 Volumes 1 to 5 of this journal were previously published by the former Department of Antiquities and Tourism, Al Ain, between 1976-1989. 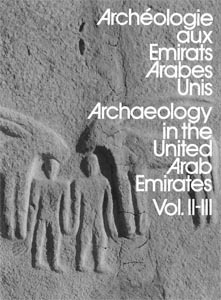 Papers presented at this conference will be published in the journal, 'Archaeology in the United Arab Emirates - Volume 6', which will provide up-to-date documentation of the current status of archaeological research in the UAE. Following the conference participants will have until the 15 May 2011 to submit the written version of their paper. This should not exceed a total of 5000 words (including the references), with a maximum of 10 figures or plates. 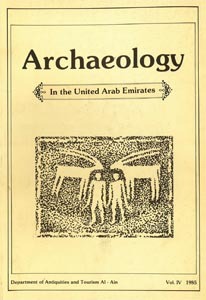 We plan to carry out peer reviewing of all submitted papers which will then be published as Volume 6 of the journal, "Archaeology of the United Arab Emirates". Die „Turfanforschung“ ediert Textzeugnisse, die in der Oase von Turfan und Umgebung in Ostturkistan (Autonome Region Xinjiang, VR China) gefunden wurden. Die alten Kulturen an der Seidenstraße, zu der viele Völker und Glaubensgemeinschaften ihren Beitrag geleistet haben, treten in ihren eigenen Schrift- und Bildzeugnissen am klarsten hervor. Die vielfältigste und reichste Sammlung dieser Dokumente stammt aus der Oase von Turfan. Sie umfasst Textzeugnisse des Buddhismus, des Manichäismus und des Christentums sowie Dokumente des klösterlichen und wirtschaftlichen Alltags, Briefe und andere Texte in über 20 Sprachen und Schriften. Hauptaufgabe des Akademienvorhabens ist die Edition des türkischen und iranischen Teils der Berliner Turfansammlung. Die Editionen werden in der eigenen Reihe „Berliner Turfantexte“ (BTT) veröffentlicht. Zur Schonung der Originale, der digitalen Bewahrung des Archivs und Bereitstellung der Texte im Internet wurde ein von der Deutschen Forschungsgemeinschaft (DFG) finanziertes und in enger Kooperation mit der Staatsbibliothek zu Berlin durchgeführtes Digitalisierungsprojekt initiiert: das Digitale Turfan-Archiv und daran anschließend IDP-Berlin, die deutsche Webpräsenz des „International Dunhuang Project“. Gegenwärtig sind etwas mehr als 30.000 der 40.000 Fragmente der Turfansammlung digitalisiert. Eine enge Kooperation der Turfanforschungsstelle besteht mit dem von der Akademie der Wissenschaften zu Göttingen getragenen Projekt „Katalogisierung der Orientalischen Handschriften in Deutschland“. Darüber hinaus arbeitet die Turfanforschung mit zahlreichen Forschungseinrichtungen weltweit von den USA bis Japan zusammen. Das Akademienvorhaben ist Teil des „Zentrums Grundlagenforschung Alte Welt" der Berlin-Brandenburgischen Akademie der Wissenschaften. 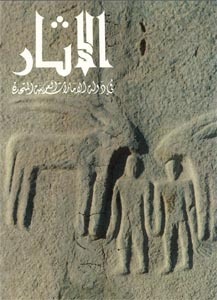 Tabelle I zu N. Wassermann, The Distant Voice of Gilgameš ... AfO 52 (2011), p. 2 finden Sie hier als PDF. Die Antwort von J.A. Halloran auf die Rezension von G. Zólyomi (AfO 52) zu J.A. Halloran, Sumerian Lexicon. 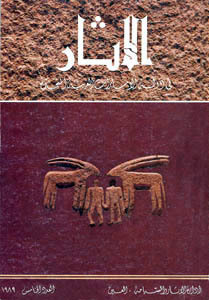 A Dictionary Guide to the Ancient Sumerian Language, Logogram Publishing, Los Angeles 2006, finden Sie hier als PDF. Die Rezension zu J. Tropper, Ugaritische Grammatik (AOAT 273), Ugarit-Verlag, Münster 2000 von D. Pardee (AfO 50) finden Sie hier als PDF. GapVis is an interface for exploring and reading texts that reference ancient places. It includes maps and data visualizations that show what locations are referred to a different points in the narrative and allows you to dig into the details to learn more. The Summary view gives you a big-picture perspective on what places are referenced in the book and where they appear in the narrative structure. The Reading view offers an interface for reading the text, including a narrative timeline and a map of recently-referenced places. ACHTUNG: Neue Einträge finden sich jetzt nur noch in Indologica | Digitalisate! Monatliche Listen mit den Updates finden sich hier. Sie können auch über diesen RSS-Feed bezogen werden. The site of the ongoing project to catalogue the 17,000 Byzantine seals in the Dumbarton Oaks Collection. An annotated collection of free and open source books, journals, and more related to the study of Syriac. This resource started out as a bibliography on women in Byzantium, begun by Thalia Gouma-Peterson and maintained by Alice-Mary Talbot. Work on women’s history has recently been supplemented by studies on eunuchs, and a concern for masculinity, which together enable work on the Byzantine gender system. Journal of Biblical Studies is an electronic journal dedicated to the field of Biblical Studies in general. Articles on any aspect of Biblical Studies (including: archaeology, linguistics, exegesis, history, and textual issues) are welcome, and contributions that challenge the traditional boundaries of Biblical Studies are encouraged. We would also like to see articles that discuss the relationship between Biblical Studies and other disciplines. JBS publishes standard scholarly articles (both full-length articles and shorter notes are equally welcome), project reports, and book reviews. In addition, the JBS home page will provide links to additional resources of interest to biblical studies, including archaeological field reports, primary sources, and links to other sites of interest. The Journal of Biblical Studies was an early entry in the roster of online open access journals and an early casualty of unsustainable enthusiasm for the form. It no longer exists at its own domain. Luckily a full version of it remains accessible by way of the Wayback Machine of the Internet Archive. b) Conservators' cooperation in establishing an archaeological park at Tyritake. a) An exhibition of the art of the Bosporan Kingdom at the National Museum in Warsaw. b) A long-term loan of the monuments of the Bosporan Kingdom to the National Museum in Warsaw as a part of the archaeological collaboration. Publications prepared under the auspices of the project (Greek inscriptions; Megarian bowls, exhibition catalogues) will be published concurrently in Russian (by Kerch) and in English (by Warsaw). a) Archaeological investigations on the site of the Greek settlement of Tyritake. La revue en ligne Interférences Ars scribendi a pour vocation de restituer dans sa globalité le phénomène de l’écriture à Rome. Il s’agit à la fois de replacer le corpus scripturaire par rapport à ses enjeux de production en le réinsérant dans ses conditions d’apparition, de reconstituer le statut que se reconnaît et réclame l’auteur vis-à-vis de sa propre production, de définir les mécanismes de relecture / réécriture qui régissent les relations aux œuvres antérieures, de mettre en évidence les théorisations, implicites et explicites, dont ces textes ont fait l’objet. Rendre compte dans son ensemble et dans une diachronie longue de la polyphonie complexe de la pratique de l’écriture à Rome, c’est rendre compte d’un réseau d’interactions, d’une série d’interférences. Ce nouveau numéro d’Interférences Ars scribendi sur les mécanismes de transfert dans le monde romain repose sur la publication d’un colloque tenu à l’École normale supérieure Lettres et Sciences humaines en octobre 2005. Conformément à l’usage qui est désormais celui de notre revue, il donne accès aux contributions de chacun au fur et à mesure qu’elles nous parviennent, afin de fournir aux lecteurs le plus rapidement possible le reflet de nos travaux. Nous vous invitons donc à visiter régulièrement notre site pour découvrir la suite de cette publication. Pour permettre une diffusion plus rapide des travaux du Groupe de recherche, la revue Interférences Ars Scribendi change de formule à partir du présent numéro : désormais les contributions portant sur un même sujet seront mises en ligne dès qu'elles nous parviendront. Les numéros s'enrichiront donc au fur et à mesure de nouveaux articles. Nous espérons que cette version, plus évolutive, de la revue permettra à tous les lecteurs de bénéficier des travaux du GDR dans les meilleurs délais et de disposer ainsi rapidement de contributions très récentes aux domaines de recherche qui sont ceux de notre Groupe. « Pyrame et Thisbé » dans les Métamorphoses d’Ovide : l’élégiaque, tragique de l’Eros et le romanesque, épique de l’Eros ?